Tree cabling, bolting and guying each involve the installation of hardware into trees. 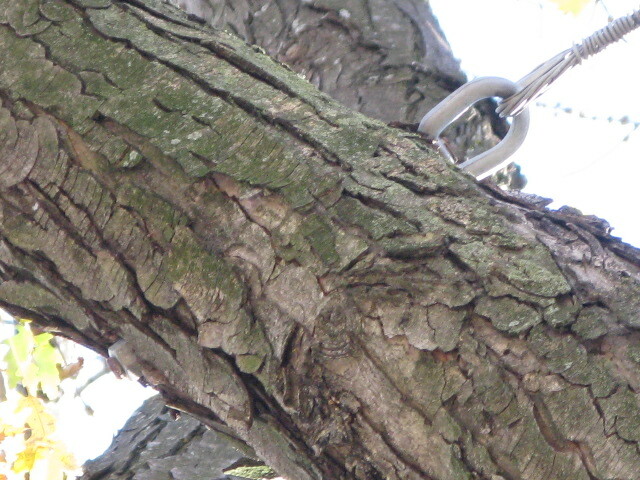 This hardware provides the tree with additional support by limiting the movement of limbs. These tree support systems help to extend the life of the tree and reduce the risk of failure. When limbs or sections of a tree develop a narrow angled crotch and bark is included or compressed between the two sections it results in a weak union that is prone to failure. Split stems and branches or large branches that pose a threat to people or property may be candidates for a support system. Tree support systems cannot eliminate hazard potential, but they can reduce the risk of failure to acceptable levels. In determining whether cabling is warranted, the condition of the tree should be considered. If the root system is not structurally sound, or if the tree contains excessive decay, removal of the tree may be preferable. 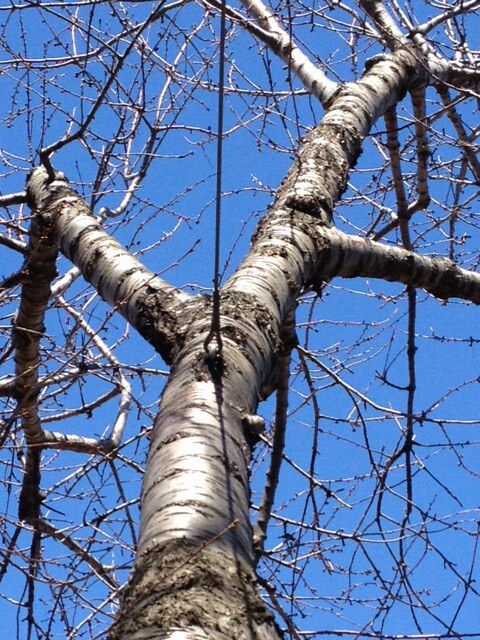 Tree support systems should be inspected annually.